The day has come. The new international box weighing rules for ocean freight are now in effect, stipulating that shippers of a packed container are responsible for determining and declaring the verified gross mass (VGM) per container prior to defined cut-off times. 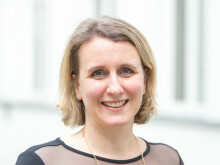 The International Maritime Organization (IMO) has made respective mandatory amendments to the International Convention for the Safety of Life at Sea (SOLAS) to improve safety along global supply chains. The shipper, meaning the legal entity or person named on the bill of lading, is responsible for determining, documenting and submitting the VGM of a packed container to the contractual carrier. 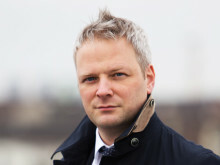 If a third-party is entrusted with weighing a container and submitting the data on the shipper’s behalf, the shipper still remains fully liable for the accuracy of the VGM. 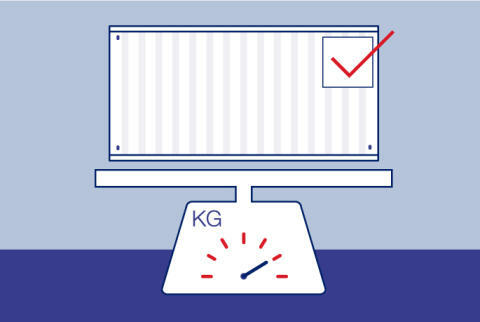 Panalpina is helping shippers make sure that they tick all the boxes in line with the new rules when booking FCL (full container load) shipments. 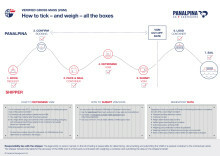 A brand-new infographic (see related documents) illustrates the process shippers have to follow for box weighing, and explains how to determine VGM and submit the data to Panalpina. 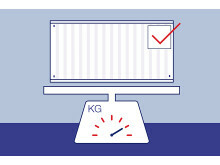 While the responsibility of VGM determination and submission always lies with the shipper, Panalpina, through its local offices, offers a box weighing service in countries where the company has access to certified weighing equipment. In addition, the Global Shippers Forum issues regularly updated information on country-specific box weighing regulations (see resource link).